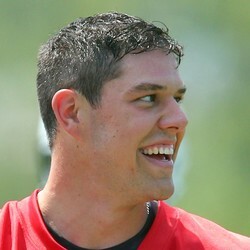 Former New York Jets quarterback Bryce Petty has been claimed off waivers by the Miami Dolphins, according to NFL insider Field Yates on Twitter. Petty had been released by the Jets earlier in the week. The Jets decided to cut Petty just a few days after drafting Sam Darnold third overall in the NFL draft, but Miami is actually a pretty good landing spot for the third-year quarterback. While Ryan Tannehill is the starter for the Dolphins, he is recovering from knee injuries that cost him the end of the 2016 season and the entire 2017 season. And the only other competition for Petty is journeyman quarterback Brock Osweiler and David Fales, who has attempted just 48 passes in his four-year career. Petty could easily win the backup job and play his way onto the field if Tannehill is injured again or struggles.